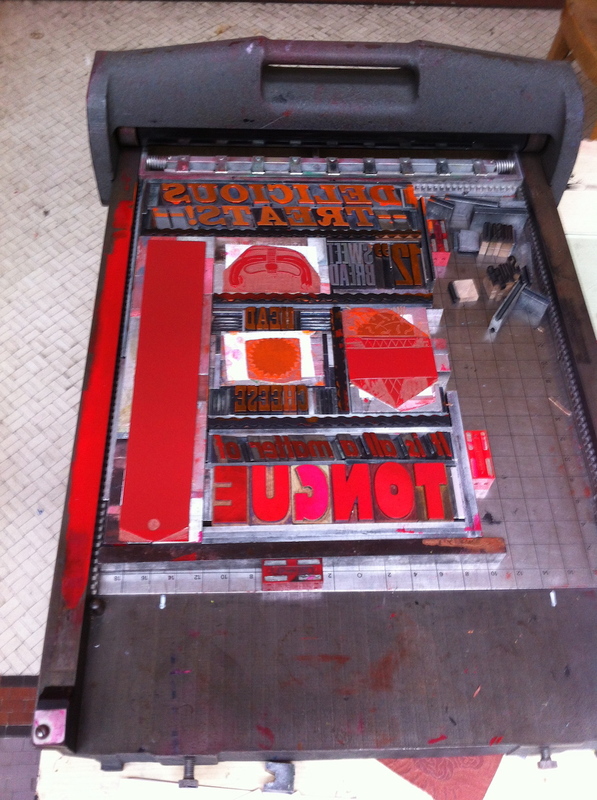 3 Colour Letterpress Print produced as part of the Letterpress Workers International Summit 2013 in Milan over a period of 3 days. 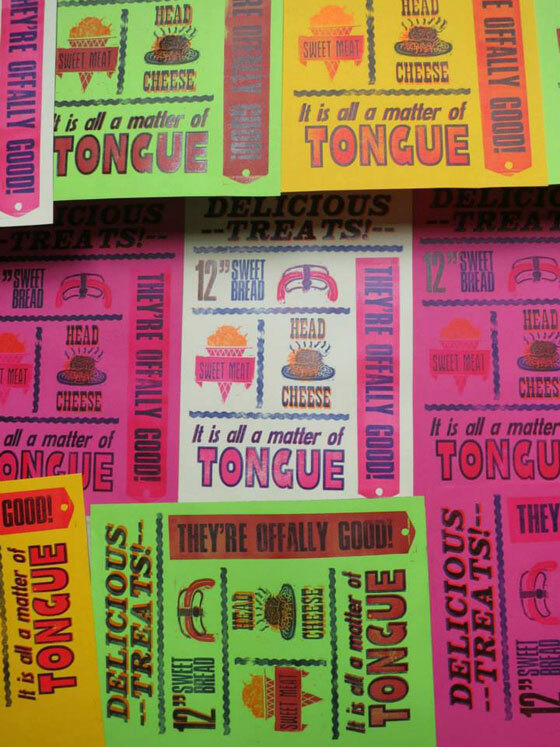 The theme of the event was “A Matter of Tongue” and focused on the differences of the participants from around the worlds culinary habits. 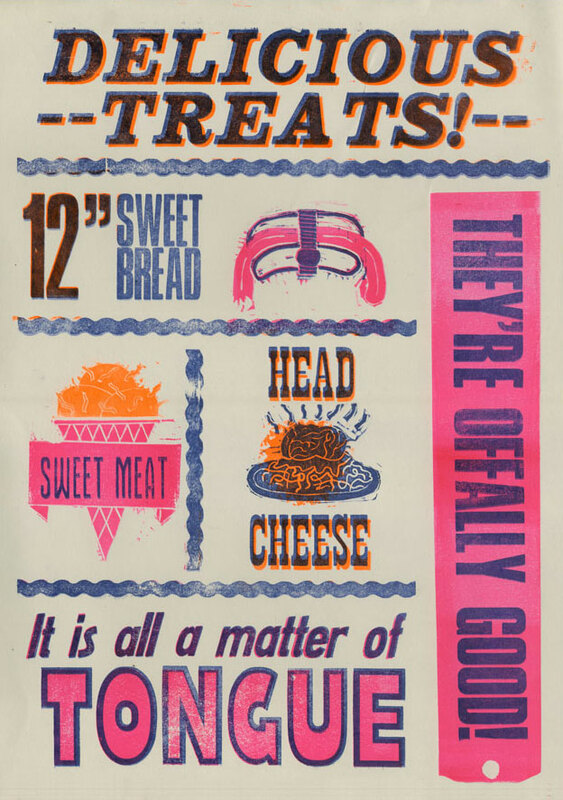 My print looks at the different uses of language to describe different cuts of meat, with some careful use of language something unpalatable to one culture becomes a tasty treat to another. 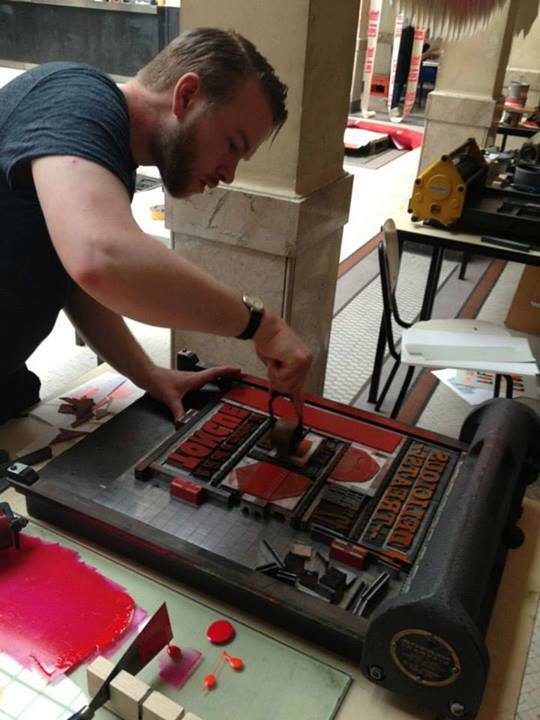 The print used vintage letterpress blocks as well as hand carved linocut illustrations and was printed in 4 colour ways (an edition of 25 each).